She attended four different school, matriculating from Ndyebo Senior Secondary School in Port Elizabeth,where she lived with various family members after the death of her mother when she was in primary school, and found it very hard to believe in herself. That was until her Grade 10 science teacher introduced Amanda Ngqoleka to the Engen Maths and Science Schools (EMSS) programme, and that changed everything. Speaking out to mark Youth Month in a bid to raise awareness about the importance of self-motivation, and to urge youngsters not to believe the world owes them a living, Ngqoleka is proof that adversity can indeed translate to success. “When I was at school, those EMSS classes helped me improve my own marks because I saw other children excelling, and that motivated me to do more,” she recalls. Today, Ngqoleka is a graduate of the University of KwaZulu-Natal where she achieved a BSc Chemistry and Chemical Technology degree and is part of Engen’s Graduate Development Programme, working in the Lubricants Supply Chain division in Durban. It changed her life, she says, transforming her from someone who found it difficult to believe in herself to a person always trying to be her best self. 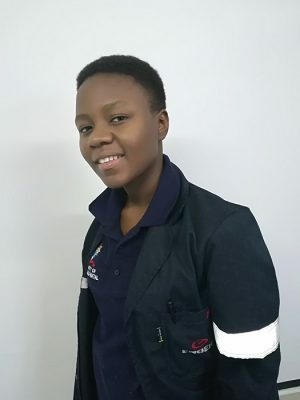 Ngqoleka’s accomplishments after she matriculatd and won an Engen bursary to pursue her studies, is exactly the kind of result Engen wants to see from its interventions, says Nokulunga Mjwara, Engen Talent Supply Specialist. 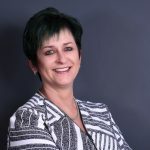 “Ms Ngqoleka epitomises the quality of the young people we work with in the EMSS and Graduate programmes around the country every year, and our ultimate reward is to help set them up to pursue stimulating careers that won’t only benefit them personally, but also the economy as a whole,” she adds. Ngqoleka credits the Engen Graduate Development Programme introductory sessions for teaching her not only how to make an impression in the workplace, but also vital life skills. She is however adamant that youngsters need to also take responsibility for their own futures, to seek out the opportunities available to them, and to work hard to see their dreams become a reality. “Look at what happened to me. I had everything against me on paper, but then in first year at varsity I was named the top first-year student. Engen’s Mjwara, says it is extremely gratifying to hear such positive feedback about the company’s initiatives, which support opportunity amongst the youth from school and university level. “We strongly believe that we have a responsibility to help young people realise their full potential, and we feel enormously privileged to have played a role in Ms Ngqoleka’s impressive achievements,” she says. Ngqoleka, meanwhile, says she has more to do. She is experiencing the world of chemistry within Engen with a view to making a final decision about whether to pursue her post-graduate studies in chemistry. “Engen is a huge company with a very good image, and it’s been my dream to work here since the day I got their bursary. “At the end of the day, I want to be able to say that I’ve made a positive change in the community, that I am going to leave the world better off somehow,” she says.